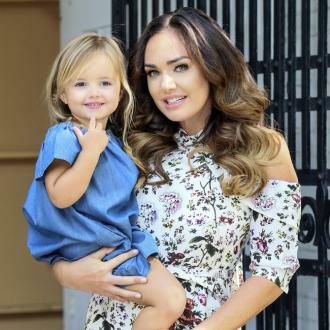 Tamara Ecclestone has called out people who slam other women for breastfeeding their children in a rant on her Instagram account. Tamara Ecclestone has slammed ''bitter'' people who ''sexualise'' breastfeeding. The 32-year-old socialite has gone on a long rant aimed at people who have criticised her for still breastfeeding her almost three-year-old daughter Sophia and she hopes speaking out against the haters will encourage other mothers to ''open up about their breastfeeding journey'' a she believes she is simply showing herself as ''a mum doing her best''. In a lengthy Instagram post alongside a picture of her feeding her little girl - whom she has with husband Jay Rutland - she wrote: ''Find it a very sad and surprising sign of the times and the world we live in that the act of breast feeding your child evokes such hatred in so many bitter people. I am astonished that breast feeding mums get such a hard time as there is no reason why we should. ''I would never ask someone when they will take away their toddlers bottle or follow on formula or dummy or comforter nor do I judge those who choose to formula feed their children of give them cows milk. I support and empower all mums and I personally believe hatred is so heavy and bad for the soul. Tamara followed in her mother Slavica Ecclestone's footsteps by nursing her daughter Sophia at an age a later age than most women and as a result she doesn't like to leave her with anyone else at night.